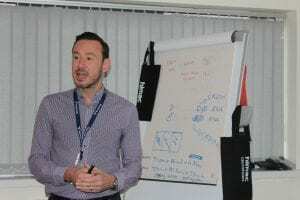 In early November 2018, we hosted out second Himac European Dealer Meeting at our offices in Livingston, Scotland with partners from 10 different European countries. The European Launch of the new CR30NX High Speed Refrigerated Centrifuge under the Himac brand manufactured in Japan. A welcome to our new location in Livingston, Scotland with introductions and familiarization to the personnel, operations and other products that we manufacture within our Group. Over a 3 day event, we spent time both hands-on with the Himac CR30NX and in our Conference room with formal and informal discussions about the product specifications, market situations in respective territories and marketing and action plans for the sales of this unit into the European market in 2019. We also welcomed a keynote speaker, Mr.Scott Gibson, Capital Equipment Sales Manager from Scientific Laboratory Supplies (SLS) the UK partner for this product range to share information and views from the field of the sales and support of the Himac products since 2013. This was exceptionally rewarding, and an invaluable source of real world information on the challenges and successes found in a highly competitive UK Scientific market. 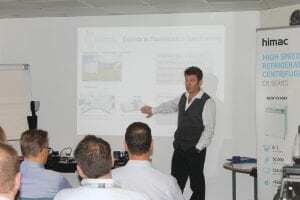 Workshop sessions were also held reviewing our complete product range to provide a good overview of our Techcomp Europe Group and some product synergies were uncovered in the group discussions. One of the key highlights was the discussion about the recent change of ownership in Japan of the Life Science and power tool products. Formerly known as Hitachi Koki Co. Ltd. until the end of May 2018, the manufacturer of the Life Science product portfolio is now known as Koki Holdings Co. Ltd. and the centrifuge brand will be known as HIMAC from this point forward. One of our major actions collectively for 2019, will be to reinforce this brand and the product awareness in the European marketplace. 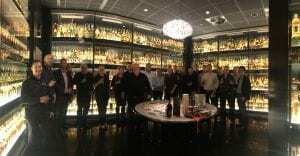 Finally, all work and no play is no fun, and with a new Scottish location for our distribution business, it seemed only fair that we visited a Whisky Experience in the beautiful old town of Edinburgh on one evening, and judging by the coffee consumed the following morning, a good time was had by all.